All The Sequels Of Arab Movies That You Need To Be Excited For! Egypt is known as the Hollywood of the Arab World, as it’s always paving the way when it comes to the cinema industry and serves as the ultimate platform for filmmakers and artists in the entire region. Post the Arab Spring, the cinema industry witnessed a huge stagnation for a few years, with nearly no proper movies being produced unlike what we saw during the early 2000s. Recently, the Egyptian cinema industry is coming back to life with a lot of interesting titles being produced with big names in the casting. With successful movies that garnered millions of pounds came a new trend that wasn’t very usual in the Arabic cinema; sequels! Recently we saw a sequel for El Gezeera, one of the most successful movies in the last two decades. But this year, tons of other sequels are being announced for Egyptian movies and I cannot wait to see most of them, if not all of them! Here’s a list of all the sequels that you should be excited for. The Blue Elephant by Marwan Hamed and Ahmed Murad is one of the most successful movies in the Egyptian Cinema in the 2010s. Karim Abdelaziz and Khaled El Sawy certainly managed to pull off unforgettable performances in that amazing thriller. Super excited to see what they have in store for the next movie. Another movie that created a huge buzz when it came out, and actually exceeded the expectations of most of the book’s fans, is Hepta! Maged El Kedwany won several awards for the amazing movie for all the right reasons. Let’s see what Hepta has in store for us in the sequel. The star-studded Awlad Rezk made sure it came out on top of the box office for its season! The movie is fun, interesting, with several plot twists, and cool action scenes. The sequel promises a new addition to the already star-packed movie. 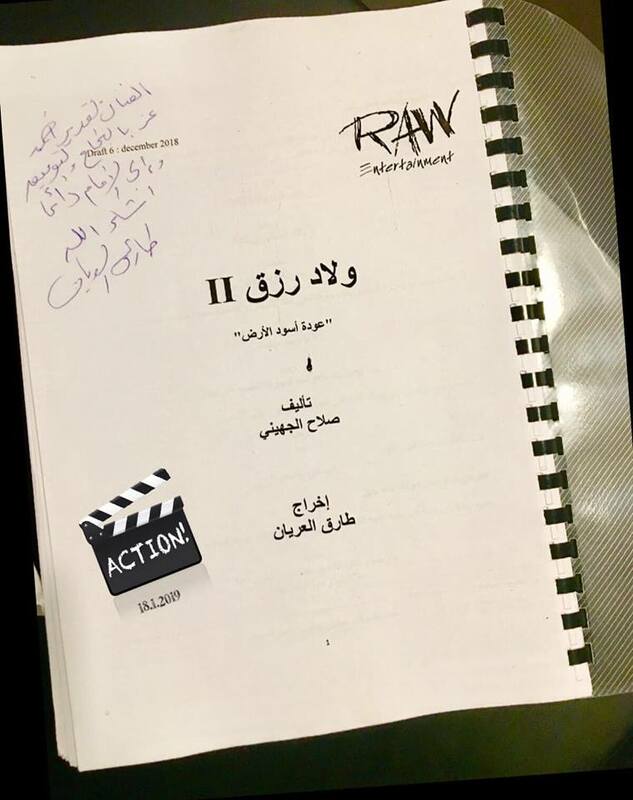 Get ready for ‘3awdet Osood El Ard’! Although I haven’t seen the first part of El Kenz, I’m definitely more excited to watch both movies when I knew there was a sequel! The trailer of the first movie was already super interesting, and actors such as Mohamed Saad and Mohamed Ramadan play characters unusual to their regular roles Let’s see how this one will turn out!